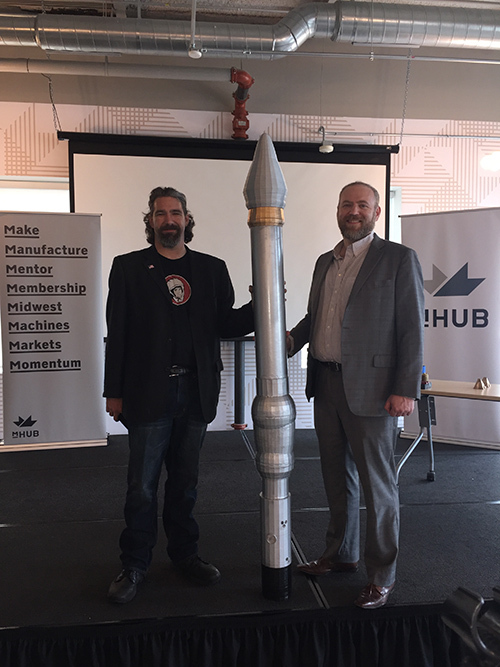 Brian Stofiel, CEO and founder of Stofiel Aerospace, joined NewSpace Chicago Thursday night to share their vision for mobile, on-demand, and highly scalable launch services. Stofiel Aerospace is a startup based in St. Louis developing a unique architecture for low-cost access to space. This is especially important for the growing small satellite market. Brian also treated the crowd to some pyrotechnics, but more on that in a bit. Stofiel’s architecture solves a number of challenges for small satellite developers and mission planners. First is cost. While other commercial space companies have brought down launch costs through re-use, such launches can still often dwarf the cost of small satellite development itself. A second issue is timing. Launches typically must be booked years in advance, and the secondary payload berths often used for small satellites leave them at a logistical and priority disadvantage to their bigger payload cousins. By using on-demand manufacturing, 3D printing, and low-cost polymer components, Stofiel Aerospace claims a 25% cost advantage over other smallsat launch providers. Those same traits also allow Stofiel Aerospace to dramatically shorten the lead time between reserving a launch, and the launch itself. Stofiel said that their unofficial motto is “Bring us your satellite on Monday, we’ll launch it by Friday.” This is orders of magnitude better than available alternatives. There are other unique aspects of Stofiel Aerospace’s platform, however. Additive manufacturing, and on-demand production are just the beginning. Their Hermes rocket is launched from a high-altitude balloon, giving it significant flexibility in launch site and orbits while also avoiding typical design challenges, such as surviving maximum aerodynamic pressure (“max Q”). Hyperion is a recoverable drop-ship that can deploy smallsat constellations, return payloads, or even act as a drone to extend low Earth orbit (LEO) missions. Up to three Hyperion vehicles may be mounted to a single Hermes rocket. Then, there is the aforementioned Hermes rocket itself. It is low-cost to manufacture, disposable by design, and with a proprietary design creating the first integrated ability to thrust, throttle, and vector solid-rocket motors. 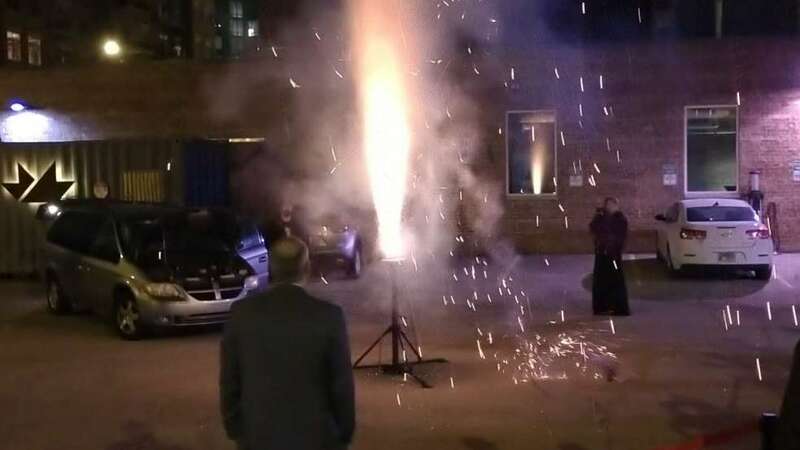 After the formal presentation, Brian lead everyone out to mHub’s parking lot, for a live-fire demonstration of a Hermes engine. If you don’t believe that a plastic rocket motor would work, you’d be wrong. Brian reports that this was the 35th static firing of their unique engine design.